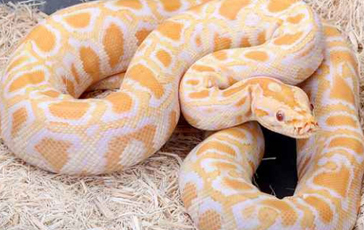 The Albino Burmese Python is a morph of the Burmese Python. It is a large snake and a female can easily reach a length of 20 feet were as the male can grow up to 12 feet. in size, They can live up to 25 years.